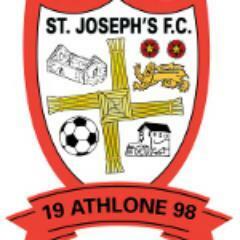 The rescheduled St. Joseph's FC registration will take place on Friday August 24th from 5pm - 8pm . We would like to thank you all for your understanding regarding the late cancellation last week but I know that anyone familiar with the club or from the wider Athlone area will understand why this was needed. The location is still the Athlone Springs hotel in Monksland. Registration fees remain the same as last year.